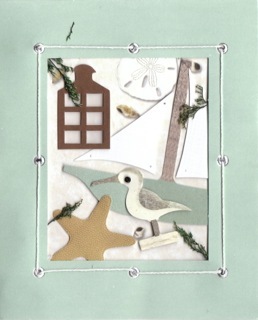 Woodstock Soapstone Co. Blog: Two Recent Items from the Mail Bag...It's what keeps us going. Two Recent Items from the Mail Bag...It's what keeps us going. 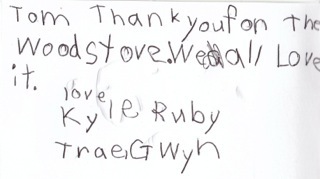 First, one of our young customers recently sent us a note and some pictures that we just had to share. I had to write to tell you how pleased we are with our Progress Hybrid Woodstove. First of all, it is so beautiful to see in my hearth. But we absolutely love the efficiency; we are using 50% less wood than last year. We are also creating 50% less ash which is less work for me. Our stove provides great overnight heat and I never have to restart it in the morning. There are always plenty of coals to catch the new fire quickly. We have also noticed an even heat; our last stove made the house hot, then cold. Our Woodstock stove maintains a pleasant, more controlled heat. Added to all those features is the best customer service I have seen in a long time. Phone calls are answered by people, emails are returned promptly, and advice and explanations are always available. 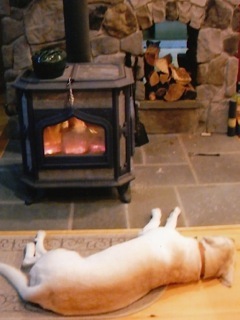 I heartily recommend Woodstock Soapstove Stoves. Please feel free to use this email as a "testimonial" on your website.